As various parties continue to fight over the remains of Anna Nicole Smith and custody of her baby, John Travolta has stepped into the fray. He has decided to use her death as a chance to promote Narconon ? the controversial Church of Scientology drug rehab programme ? saying it could have saved the Playmate’s life. A toxicology report from the 39- year-old’s autopsy has not been completed yet, but methadone and other drugs were discovered in the Florida hotel room where she died earlier this month. 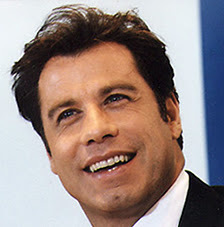 Travolta said: ‘It’s so sad. We could have helped her with Narconon but didn’t get a chance to. I wish we had.’ The 53-year-old worked with Smith on the film Be Cool. Narconon has been widely criticised for its unorthodox and controversial methods which include an intensive running programme, large doses of vitamins and long sauna sessions, designed to ‘run out’ drugs and ‘radiation’ from the body. Anna Nicole Smith’s Death Still a Mystery!